You are here: Home > > > Civil Defense > > > The Civil Defense Book – Second Edition Available!! The Civil Defense Book – Second Edition Available!! The second edition of The Civil Defense Book is out and available on Amazon! Updated and expanded with new material, this is the only plan available for communities to survive when they are on their own. According to the U.S. Senate Committee on Homeland Security in 2017, millions of Americans—perhaps the majority of the population—would die if the electrical grid went down for a significant period of time. Not only is this disturbing fact is well known to Congress, it is also well known to America’s enemies. Little has been done to mitigate the threat. Iran, North Korea, terrorist groups, and others move forward in their capabilities to attack the power grid, and the United States today remains extremely vulnerable to a wide variety of man-made and natural threats. Moreover, the emergency management system in the United States depends on our ability to bring outside resources into a disaster area. But what if the majority of the country was the disaster area? What if cities and towns across the country were on their own for a long period of time? Survival will be a local issue. The cavalry will not be coming. The majority of Americans are unaware of the magnitude of the threats and are completely unprepared. Some individuals, known as preppers, have taken steps to prepare their families for such a disaster, but the real key to survival lies in small communities having a civil defense plan. A prepared community has a better chance of survival than a prepared individual. 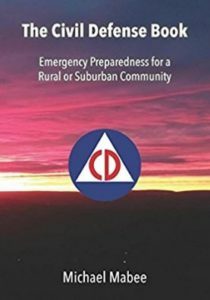 This book is about taking prepping to the next level, so that your town can be ready for any disaster, large or small. It is possible for a town to survive if the grid goes down long term. But only if a few of its citizens act now. 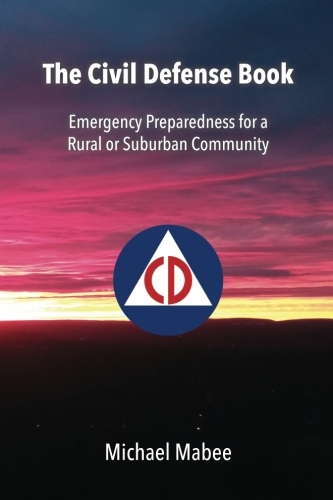 This book is different from other books on prepping and emergency preparedness. Rather than focusing on individual survival, this book takes you through the steps to prepare your town for a worst-case national disaster. And in being prepared for a worst-case scenario, you and your town can be prepared for anything from a minor power outage to a hurricane to an electromagnetic pulse, solar flare or cyber-attack taking out the entire power grid. This is the Civil Defense Book!